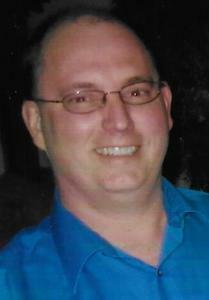 Scott Allen Skilling passed away on January 25, 2019 at the Poppen House in Muskegon, Michigan, from colon cancer. Scott was born on December 29, 1968 in Lake Geneva, Wisconsin. In 1987 Scott graduated from Holton High School and he worked at Kent Rubber of Muskegon. On August 28, 1993 he married Stacey Lynn YLitao. Scott was very involved in 4H, Haunted Hall, Equestrian Team, and soccer with his two daughters. He is survived by his wife Stacey; daughters Melissa and Elizabeth; Mother Beverly Skilling; Brother Matt Skilling; Stepmother Patti (Trygstad) Skilling; Father and Mother in-law Timothy and Susan YLitao; Sister-in-law Tamara Vogel; Brother-in-law Ken Vogel; Nephews Austin, Brennon, and Cason Skilling. He was preceded in death by his father Russell "Bud" Skilling and his grandparents. A celebration of life for Scott will be held on February 17, 2019 at the American Legion in Holton, MI. at 2:00 p.m. If you would like to make a donation in Scott's memory please consider his daughters trust fund and contact Susan YLitao at 231-855-3579 or consider Harbor Hospice Poppen House.